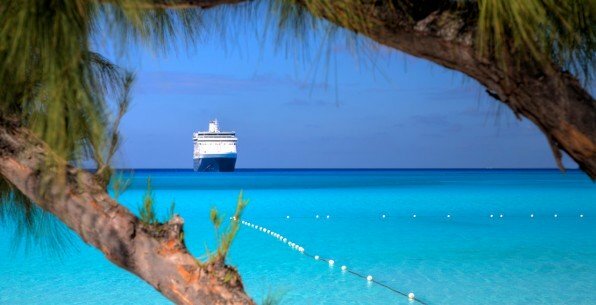 Best Disabled Cruises. Accessibility of cabins, ships and excursions. The following ships are by no means the only ships suitable for disabled passengers but they have more disabled cabins and extra features such as pool hoists. The Eclipse is a fantastic ship for disabled guests. They even have a pool hoist. The Azura is the largest ship in the P&O fleet and is very well equipped for disabled passengers. Some ships have fully accessible cabins but the gang plank provided to board the ship is sometimes unsuitable to full time wheel chair users. We cannot name these ships as we could get into trouble if they make appropriate changes and don't tell us. We have made requests to the appropriate cruise lines and await their responses. If you have experience of accessibility problems on certain ships please let us know so we can pass information onto the cruise lines. All of the larger ocean cruise ships have a number of accessible cabins but this is only the starting point in checking suitability. We are compiling accessibility information on adapted cabins but we are struggling to get pictures from some of the cruise companies. We are putting pressure on them as they are offering a second class service by only providing pictures of cabins suitable for able bodied customers. Please take care when measuring your wheelchair as a mistake here can also create big problems. As people have different levels of mobility please call for advice relevant to your specific needs.